Robert has been featured in most major international and uk magazines including Estetica, Tribute, Cosmopolitan, Marie Claire, Elle and Vogue. He has also presented his distinctive work on stage at some of the biggest hairdressing shows in the world, including London Fashion Week, Salon International, the International Beauty Show in Paris and Dallas, L’Oréal shows in Asia, Revlon style masters around the world and the alternative hair show at the prestigious Royal Albert Hall. Robert has an international role in ensuring that audiences around the world have access to his unique philosophy. 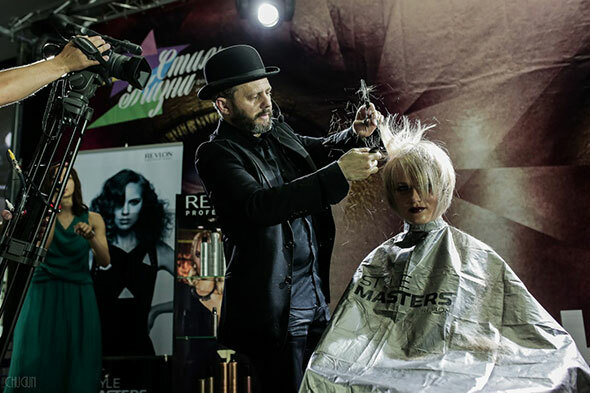 Master in cutting, styling from classic / vintage to avant garde, the Look & Learn seminars and workshops inspires, energizes and educates, by delivering all the right skills and information in a meaningful way. The courses are available for complete beginners or experienced stylists wanting to take their career to the next level and training can be tailored to suit the individual. Robert Masciave’s shows are memorable events. He will capture the imagination of your audience and make certain they are inspired and energized. Suited to small and large audiences, the Show format consists of short powerful video images, choreographed presentations of finished models and energetic demonstrations that illustrate exciting new skills. All Shows are tailored to fit the client’s needs and audience expectations. Robert Masciave’s “Look and Learn” masterclass deliver an insight into his unique world of creativity and education. While the emphasis is firmly on technical instruction, walk-on presentation models complement the step by step cutting, coloring and styling executed by Robert and his Creative Team. The Look and Learn Masterclass format offers a high degree of flexibility, ensuring that you meet both your audience expectations and your business objectives. Choose this masterclass when you need to satisfy a variety of business objectives and detailed demonstrations applicable in salons. Robert Masciave’s Ateliers are ideally suited to small audiences and can last from one to 3 days, depending on the depth or level of education required. The environment allows for a high degree of detailed instruction, where every day begins with a demonstration, and the afternoon is devoted to hands-on learning. The optional addition of ‘walk on’ presentation models can provide impact in illustrating the finished looks. Robert’s Atelier format can be delivered in an alternative venue, should your salon not be spacious enough. Send an email to set up a personalized consultation.